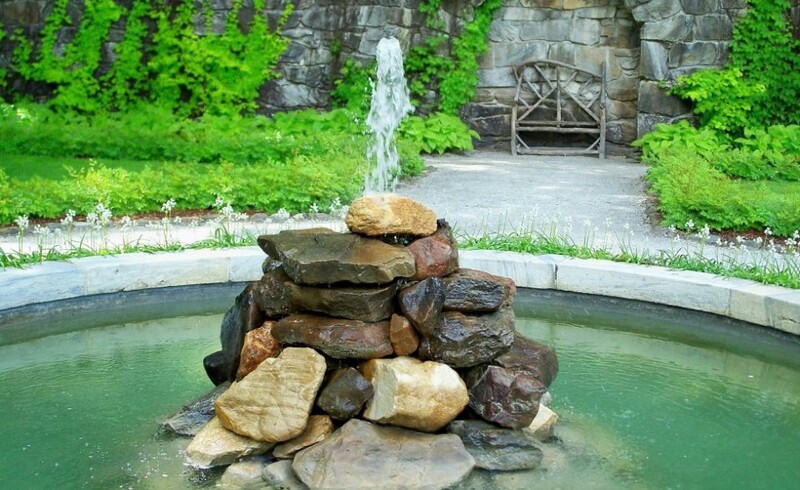 The fountain was modeled after an old millstone, having a perfect size for a patio or small backyard. Constructed from concrete and common building material, such as bagged concrete mix and metal sheets, you can construct it in a weekend. The first step is building the top round form of the fountain. For this, draw an 18-in. diameter circle on 3/4-in. plywood. Saw it out with a jigsaw. Drill a 5/8-in. hole in the center. Cut a 60-in. length of 4-in. wide galvanized metal flashing. Run a strip of double-faced carpet tape along the top and bottom edge. 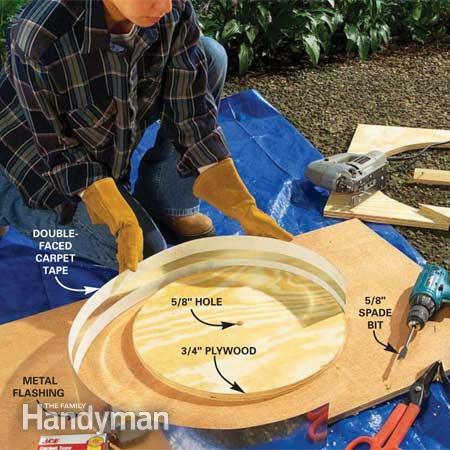 Then wrap the flashing around the plywood circle. Coat the inside of the forms and the copper pipe with oil so that cement doesn’t get stick. To build the column use the same steps, making a metal sheet cylinder. Drill a hole on the side at the bottom of the metal cylinder for the copper pipe to exit and then connect it to the water pump. Coat the entire inside surface of both forms with a layer of oil (spray lubricant is easy to apply). 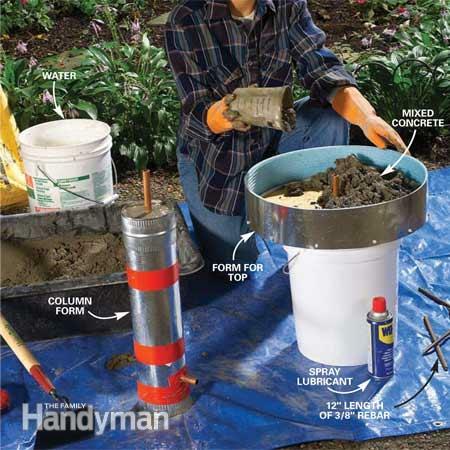 Mix 1-1/2 bags of concrete mix to form a stiff, not runny, batch. Mix with a hoe for at least five minutes. 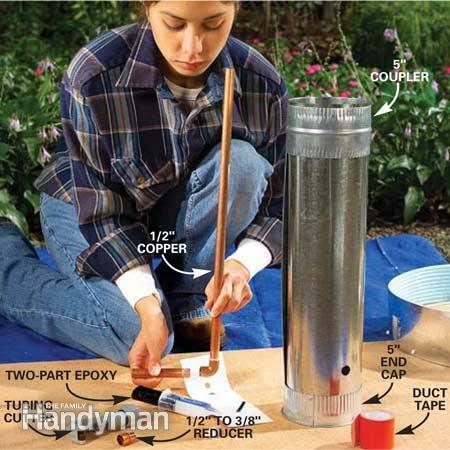 Fill the tall cylinder while holding the pipe in the center. Tap the outside with a scrap of wood to settle the concrete and release trapped air. 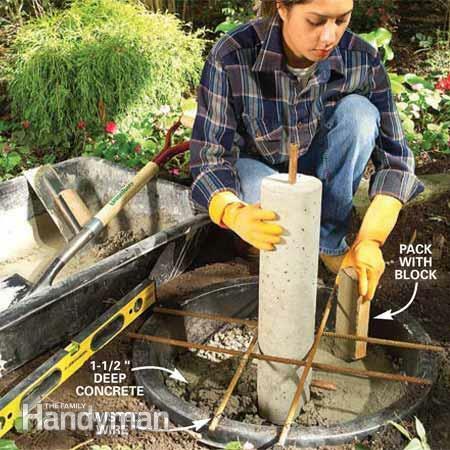 Remove the forms after the concrete has set up for at least 12 hours. 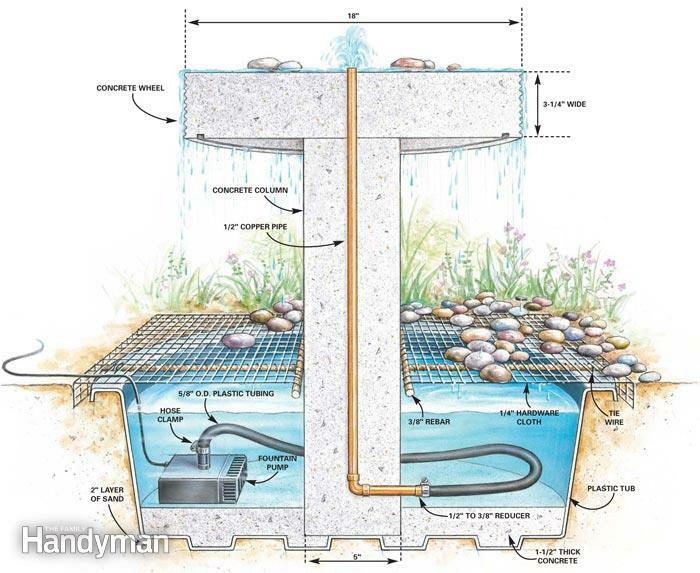 Fix the column into a cement foundation hole dug in the ground and lined with a flexible liner to prevent water from being absorbed by the soil. Add the water pump and connect it to the copper pipe with a plastic tube and hose clamps. 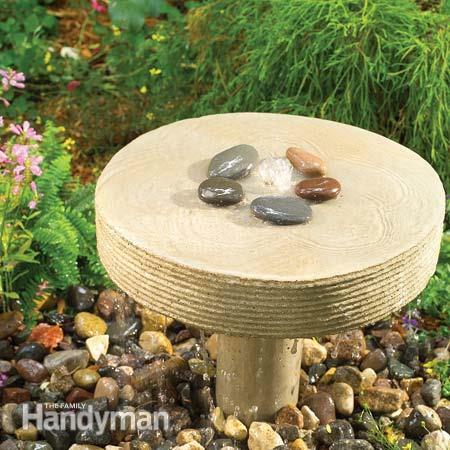 Fill the hole with water and then cover it with a metal grill on top of which add decorative stones. Do not forget the water pump needs a power source.